Thanks to ExxonMobil for sponsoring this post. 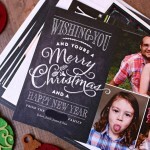 We are in the middle of holiday season, and for many families that means travel. We like to do things a little differently for the holidays, so instead of spending the day carting the kids from house to house for food and small talk, we load up the car, hit the road, and go on adventures! We still do the traditional gift exchanging and visiting family at some point in December, but for us, the holidays are for spending time doing something meaningful and making memories that will last. We don’t always do the same thing on our holiday trips, but each one is similar in that we don’t go too far, we don’t spend too much money, and we like to keep it fun. One trip that we have taken a few times is to go down state and dig for rocks and crystals. I know some people might think we are crazy for spending the holidays knee deep in dirt, but we love every minute of it! 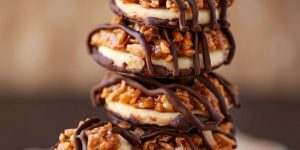 Road trips are a big part of our lives beyond our holiday trip, and I like to keep them as low-key and budget friendly as possible, because who wants something fun to cause them stress? 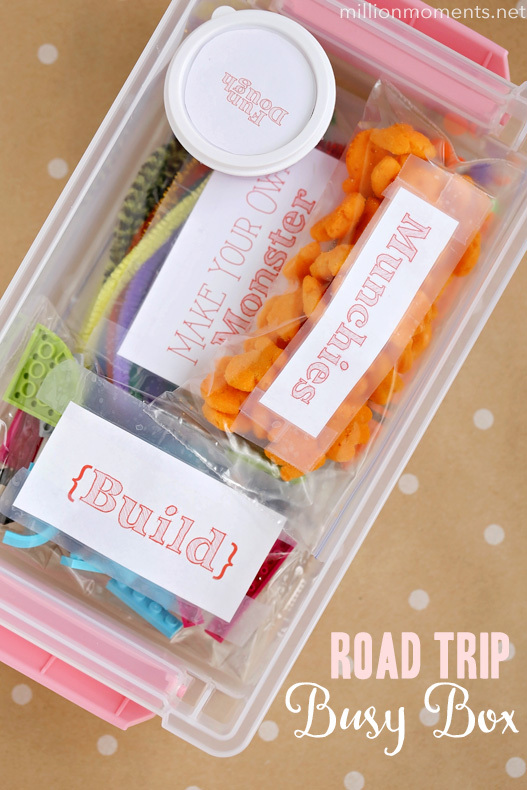 Over the years I have learned a few sure-fire ways to help make our days on the road easier, and I’m passing them on to you! This seems like a no-brainer, but you would be surprised how many trips I’ve packed for without a main list and ended up regretting it. Before you head out, print out a few copies of a master list of your family’s general needs and then save some space at the bottom for filling in destination specifics. Need help? 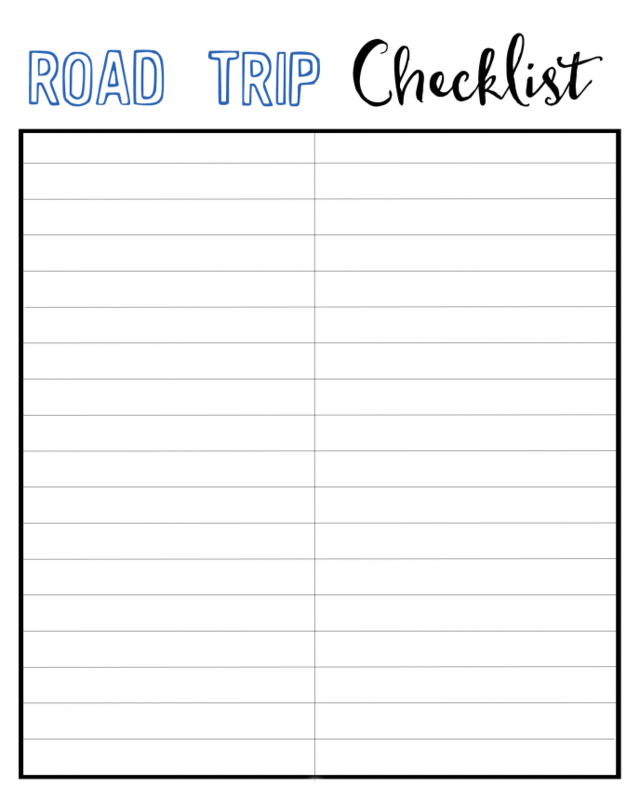 I whipped up this one for you, and if you’re feeling like going the extra mile you can even laminate it and use dry erase markers! Click here and print one out for yourself! Nobody wants to be stranded in the middle of nowhere. I have done it before, thankfully without the kids, and I hope to never have that experience again! 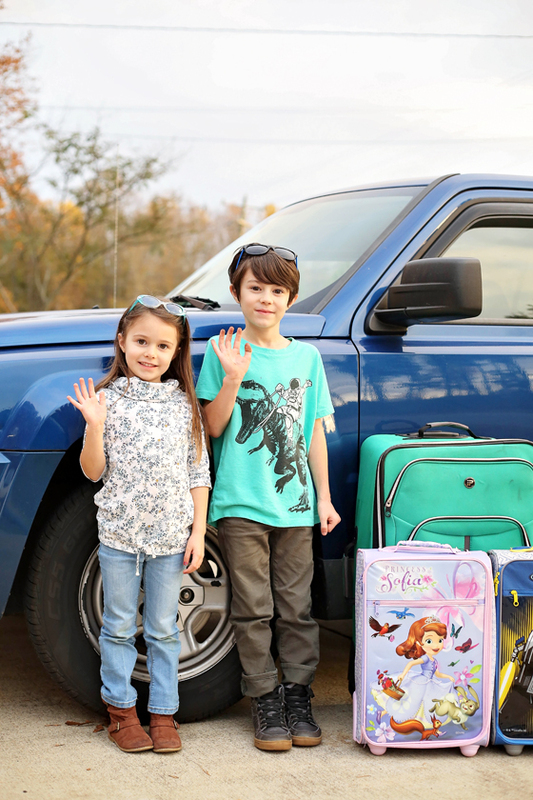 Before you head out on a trip anywhere, check your car, and refill and replace anything that might need it. I am notoriously forgetful when it comes to keeping up with my car, so I like to use our annual holiday road trip as a reminder for my annual oil change. Yes, I said annual. 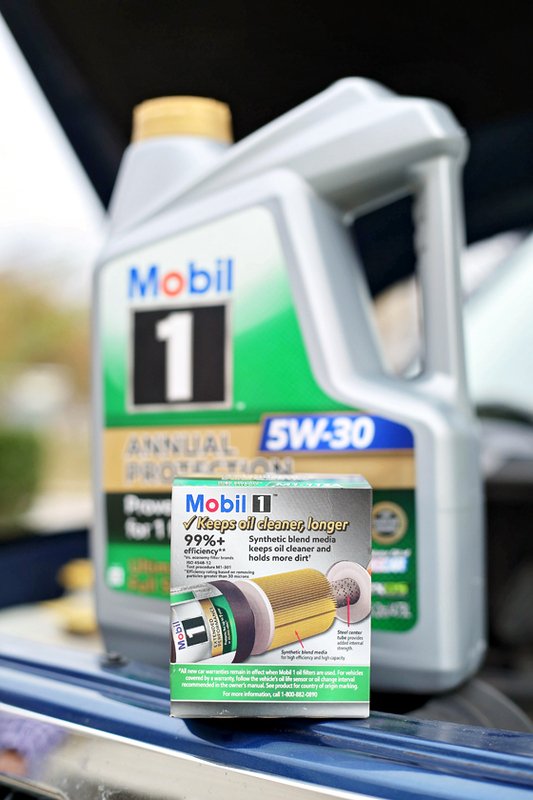 As I mentioned, keeping to a maintenance schedule is difficult for me to remember, so we use Mobil 1™ Annual Protection motor oil and Mobil 1™ Extended Performance oil filters to keep things running smoothly for a whole year at a time. 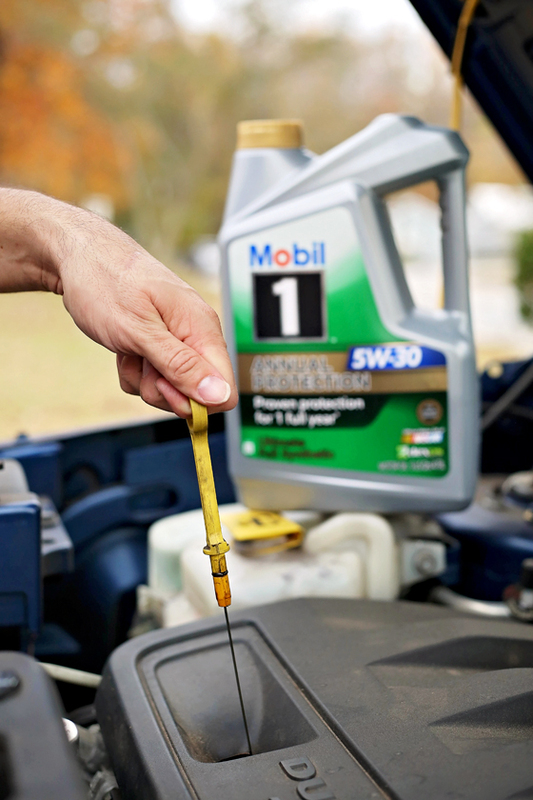 You’re probably wondering how going a whole year between oil changes could ever be a good idea, but the Mobil 1™ Annual Protection oil is put through a rigorous testing process to ensure it meets the highest standards for motor oil performance. It offers proven protection for 1 full year (or 20,000 miles, whichever comes first) and is scientifically proven to reduce oil breakdown. Think of all the time and money you could be saving by only having to change your oil once a year! 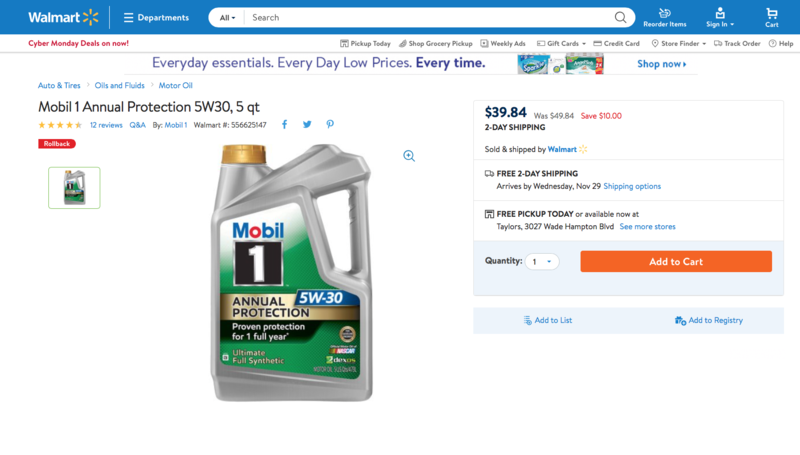 This oil is a synthetic, which as I learned is better than conventional motor oils. 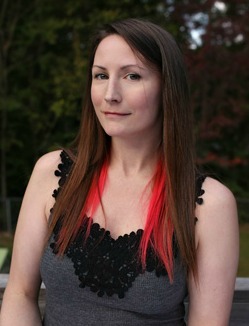 There’s no other product like it on the market, so it’s quite the game-changer for me! I only have to do it once a year, and if that isn’t easy enough, I can order it online at Walmart with my holiday shopping, and have it delivered to my home or local store in just a few days so I can have it installed by someone I trust. How convenient is that? 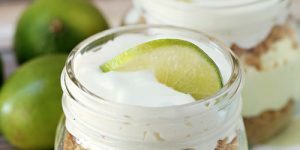 The #1 best way that I have found to save money on a road trip is to bring all our own food. 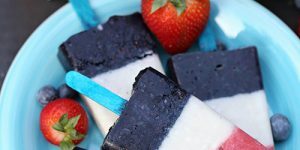 Sure, it isn’t the most convenient, and you might be stuck eating sandwiches instead of trying amazing new restaurants, but I would much rather fill up a cooler for $50 than spend $300 on a weekend’s worth of dining. If you don’t want to completely ditch the dining out, maybe plan one nice dinner out during your trip. 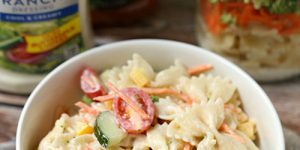 That way you have something to look forward to, and with all the money you are saving on food for the rest of the trip, you can go all out for that one meal! 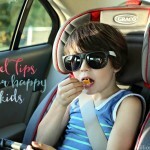 Kids hate long car rides. 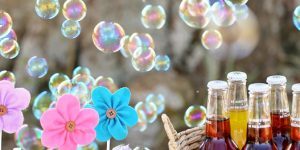 That is something that will never change, so if you are planning on bringing them along, you need to have plenty of distractions and activities that keep them busy and tantrum free. 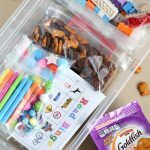 My kids get hungry when they are bored, so snacks should be accessible and not too sugary, because that can end up making the situation worse. 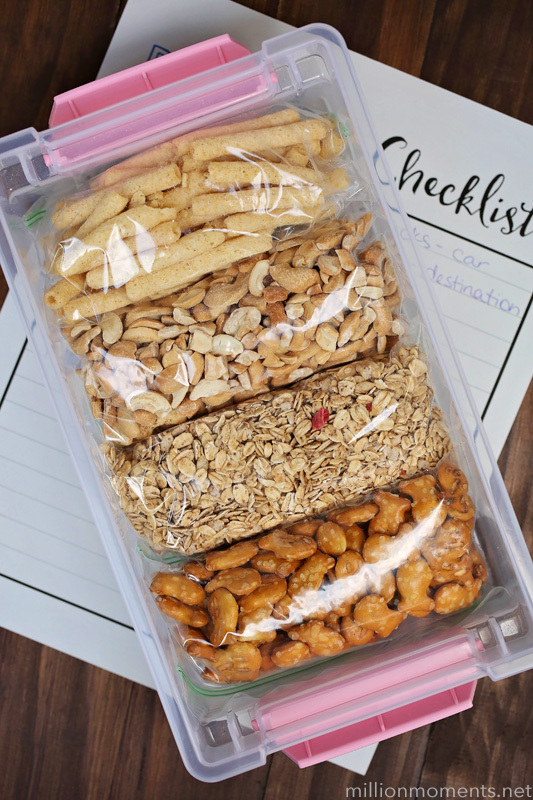 Keep wholesome foods on hand like fruit or trail mix. 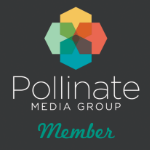 Load up your tablet with movies before you leave, and build a busy box full of activities they can do in their laps. 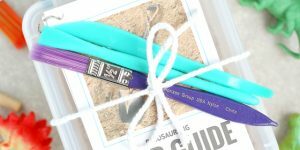 I love building busy boxes, and the best part about them is that they are great for personalizing. 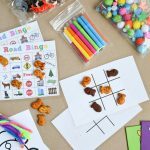 For my kids, I like to include a snack, a craft, something to build, and something for sensory stimulation. 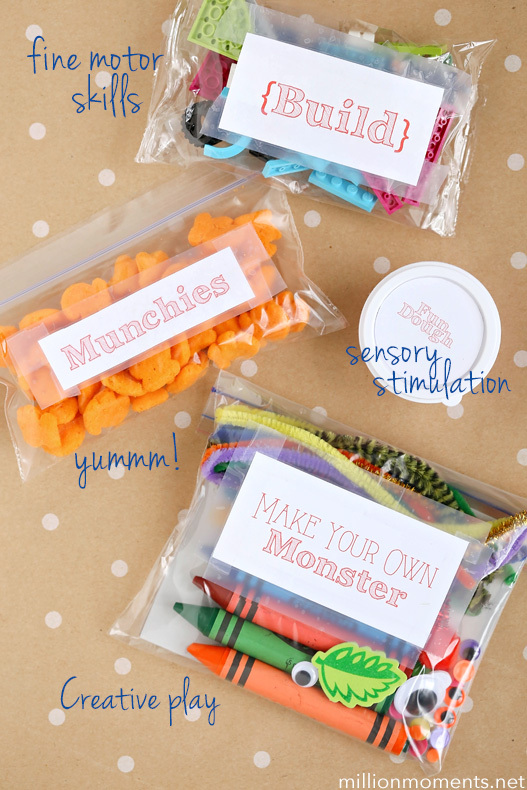 I made up these adorable “make your own monster” kits a few years ago, and the kids still love doing them even now! 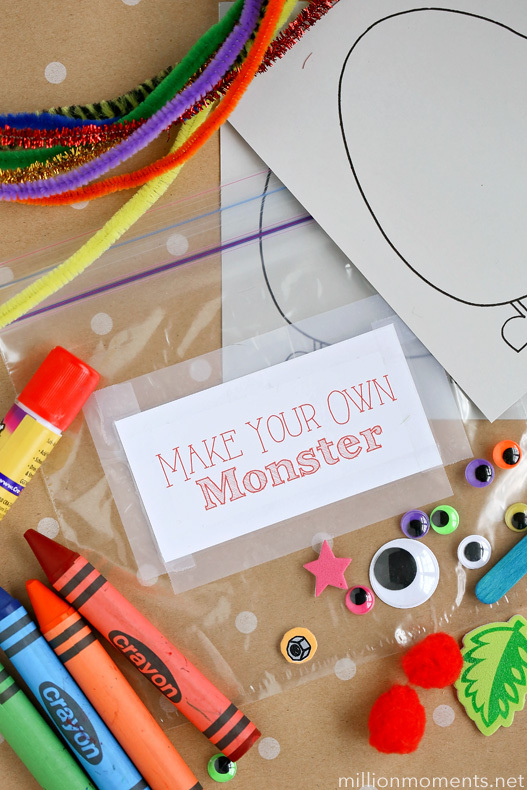 All I do for them is print out an outline of a monster, then stick it in a bag with a glue stick, some crayons, and different embellishments like eyes, pipe cleaners, and more. They can make them as simple and as crazy as they want! 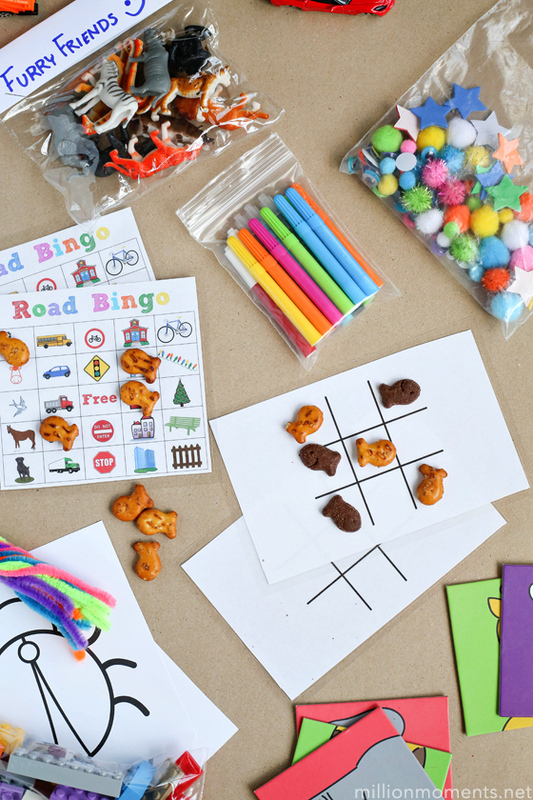 Some other great ideas are laminated tic-tac-toe sheets or road trip bingo, which are easy to store, take up almost no room, and don’t cost anything! 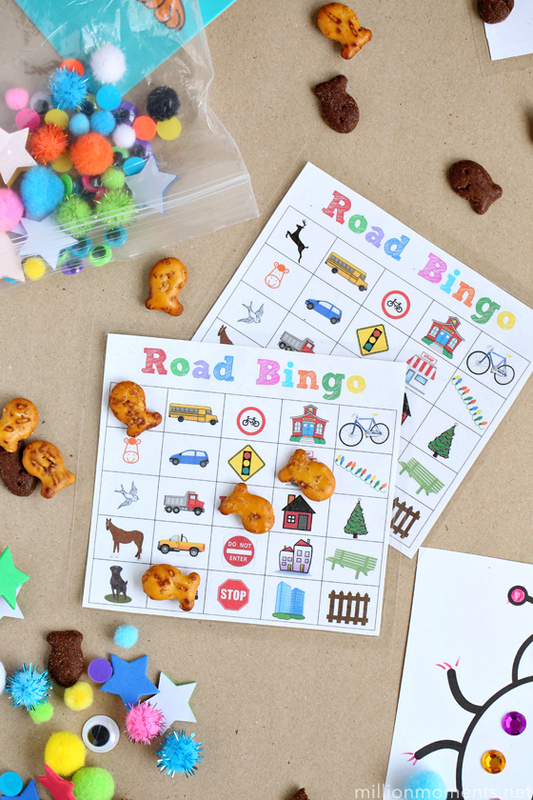 Click here for a free printable of my Road Bingo sheets. 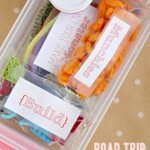 There are so many ways to make road trips stress free and budget friendly, and while these are just a few, they have really helped us over the years! What things do you do to help have a happy time on the road?